Description: ****Never a Credit Card Fee****You are Bidding on a New, in the Box, Glock 37 Generation 4 45GAP Semi Auto Pistol made in Austria. Features Include: Black Polymer Frame, Black slide, White Outline and Single Dot Sights, Double Action, 4.49" Barrel, Safe Action. Comes Complete with Hard Case, 3 (10)rd magazines, and Interchangeable Backstraps. 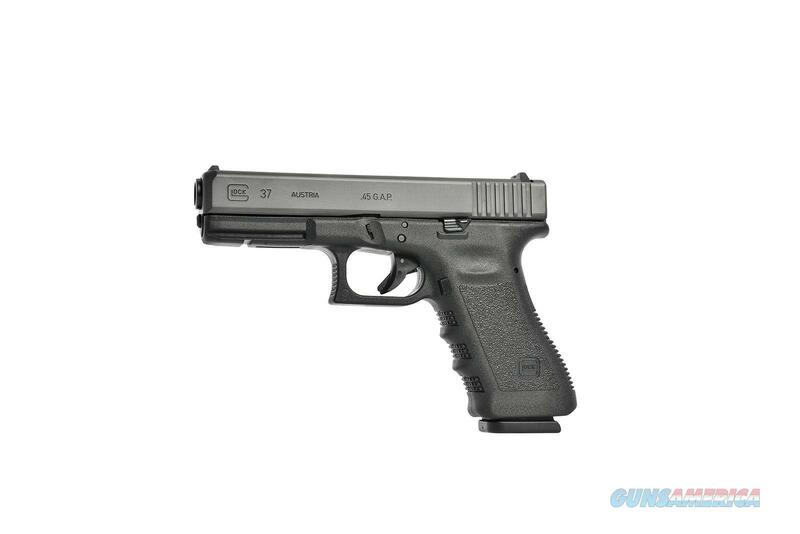 This is a Glock Overstock Item and does not have to conform to the MAP (minimum advertised price) of $555.We are a FFL dealer and only ship to FFL dealers where this firearm is legal to own. We accept Visa/MC/Discover(no extra fess) as well as Postal Money orders. Maine residents must pay 5% Maine sales tax. Payment is due within 3 days from winning auction.